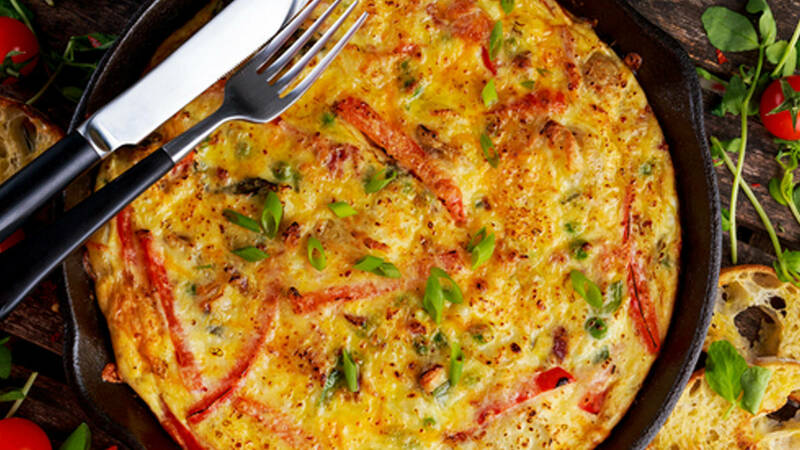 In 10-inch nonstick skillet, melt butter over medium heat. Add onions; cook 2 to 3 minutes, stirring frequently, until tender. Stir in eggs, mozzarella cheese, tomato, parsley and pepper. Reduce heat to medium-low; cover and cook 9 to 11 minutes or until eggs are set around edge and light brown on bottom. Sprinkle Parmesan cheese over top. Cover; remove from heat and let stand 3 to 4 minutes or until cheese is melted. If desired, garnish with additional chopped tomato and parsley. Tip : Removing the seeds from a tomato helps to prevent excess liquid in a recipe. To seed a tomato, cut it in half crosswise. Squeeze tomato half gently over bowl to remove seeds.